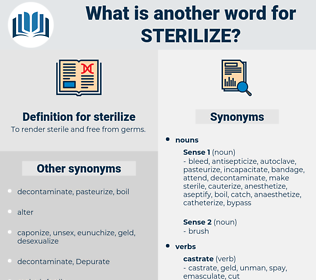 What is another word for sterilize? To render sterile and free from germs. assist, keep, adulterate, corrupt, dirty, help, remain, aid, continue. 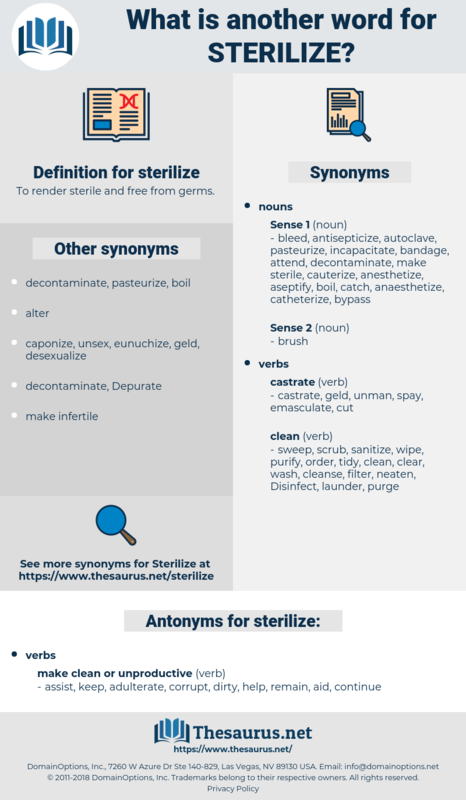 sisterlike, sterilise, soteriology, starlike, starless.